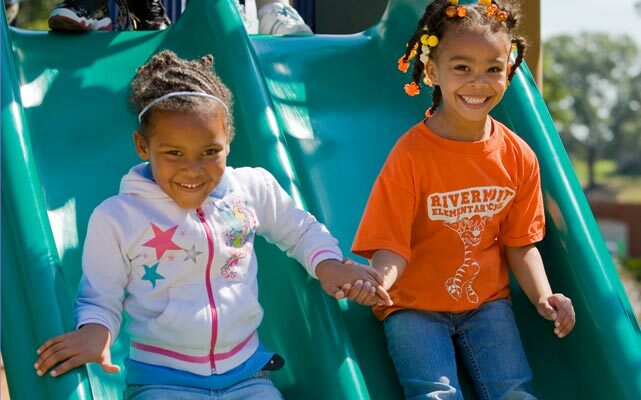 One of the most enriching ways for child development to occur is through play. For that reason, making sure you have the right childcare playground equipment is of the utmost importance. 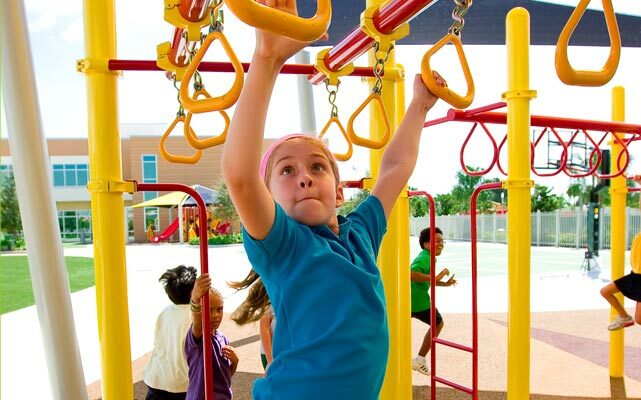 Our playground consultants can help design your preschool playground to meet certification standards. The most crucial time for a child’s cognitive development is during the first five years of life. That’s why our daycare playground equipment is designed to comply with both ASTM and CPSC standards for playground safety. We offer full customization to entertain and engage young children. We can help you create an all-inclusive play area with mentally stimulating play panels, sand and water tables, dramatic play elements, and musical pieces. 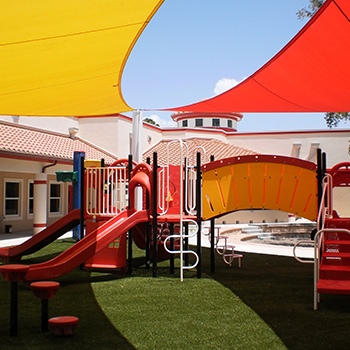 Whether you have a small, privately owned center or you have multiple facilities; we will create a custom childcare playground equipment solution that fits your needs and budget. 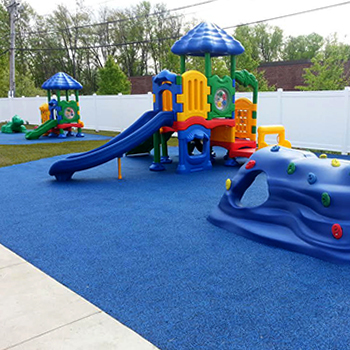 All our childcare playground equipment is fully customizable allowing you to pick and choose your favorite components, colors, and layouts. You can begin your design by selecting and customizing one of our popular play designs or by describing your needs to one of our in-house playground designers. We will work with you 100% FREE OF CHARGE to design a completely customized structure. With a BYO Playground structure, the options are truly limitless. 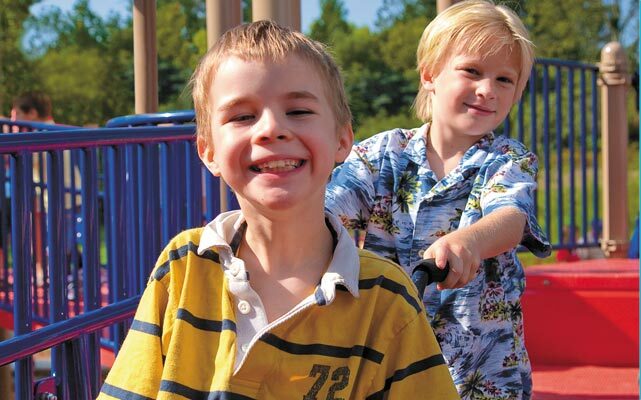 Our preschool playgrounds are perfect for infants and toddlers ranging from 6-23 months or 2-5 years when early childhood development and abilities are growing. Safety compliance and durability our of utmost importance when manufacturing our childcare playground equipment. 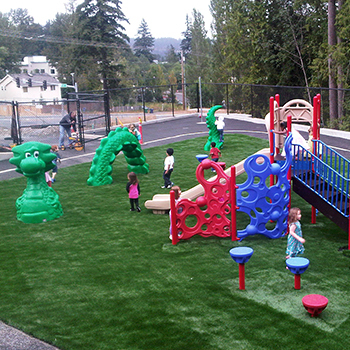 The children in your daycare or preschool playground will continue engaging with our play structures for years to come.